Heating and cooling accounts for a large proportion of domestic energy bills. This means that many homeowners have concerns about keeping cool in summer without seeing a massive spike in their costs. Fortunately, there are a number of ways to improve the efficiency of your system and adopt some energy saving habits that will allow you to enjoy a comfortable temperature inside your home throughout the year. One of the best ways to save energy on your split air conditioning system costs is to adjust the temperature a little. Many homeowners automatically set their thermostat to a far lower temperature than is actually needed. In many cases, you are unlikely to notice turning the thermostat up by a degree or two. The most effective way to choose the most energy efficient temperature setting is to find the warmest setting that everyone in your household can be comfortable with. Additionally, consider adjusting the temperature when you are sleeping, as you are likely to prefer a different temperature. Even if you have an older air conditioning system, you don’t need to have a full upgrade to improve energy efficiency. It is possible to install a new thermostat to your existing system and allow you to benefit from the energy savings. There are new thermostat models that have WiFi and compatible apps. This type of model can track energy usage and automatically make adjustments. Additionally, there is the possibility to manually adjust your system using your computer, smartphone or other mobile device. This means that you can turn on your AC when you are on your way home from work, so you can arrive back to a cool and comfortable environment. One of the things about a split system air conditioner Perth homeowners often overlook is servicing. Yet, regular servicing can not only improve performance and reduce the risk of a breakdown, but it can also significantly improve energy efficiency. If there is even a minor fault in your system, it can compromise energy efficiency, increasing your utility bills. However, a professional technician will assess your system and make any necessary repairs. A service is also an excellent opportunity to perform preventative maintenance and replace any worn components that could be affecting energy efficiency and performance. Most manufacturers recommend servicing equipment at least once each year. It is a good idea to have your air conditioning system checked in spring before the warmer weather and heavy usage demands arrive. 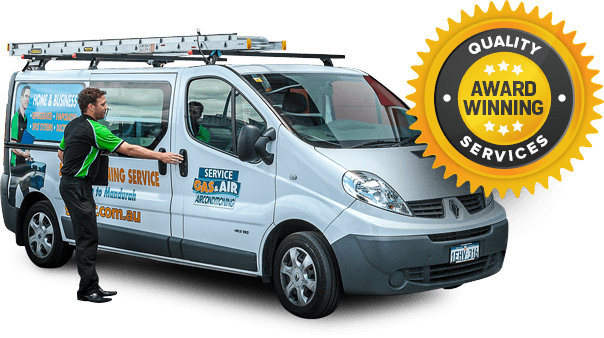 If you have concerns about the energy efficiency of your split air conditioning system, Perth residents should speak to us. We have experience in the installation and maintenance of heating and air conditioning equipment. Our team of technicians would be happy to answer any queries or arrange an appointment to check your system and confirm it is operating at peak efficiency.